Creating Personal Presence in the Network Marketing Industry. During my 9 years in the Network Marketing industry, I have spoken with and been on stages in front of thousands of people. That was a bit nerve wracking at times but people always tell me they would never know I am nervous. You really do have to walk out and own the room. Even when you have that little voice inside of you saying Who do I think I am? How you carry yourself is key to your success. How do people feel about you after they have talked to you? How do you leave them feeling? What do they say about your style, your presence? We all have our gifts. I have noticed that when you give a lot of presentations, people often come up afterwards and the speaker will hear the same thing over and over. That is your gift. That is your special thing that makes you – YOU. People often tell me after a presentation that they think I am classy, that they think I make the complicated thing seem simpler and that they love listening to me. I learned that if I took those characteristics and worked from that place, that this would become part of my brand. My special something. Presence may even seem magical – but there are lots of things you can do to develop your presence. First thing is to notice what people say about you. Finess that. Work with that. That is what makes you special. If you want to be a strong leader, you need to have presence. Presence is the very first step in making an impression, which can make a huge difference in building your network marketing business. What is it exactly? According to the dictionary, presence is “the state or fact of existing, occurring, or being present in a place or thing.” Presence means demanding the attention of an entire room without saying a word. You know when someone walks into a room and everyone notices? That is presence. And it doesn’t have to do with being loud or vocal. You can do this with style. You can do this with class. I like to call it the “It” factor. I am sure you can think of someone who fits this description – someone who is engaging, who is charismatic, who people listen to. In network marketing, your Network is your Net Worth. Generating leads and new team members is vital to building your cash flow, so developing your presence is just another great tool you can put in your network marketing toolbox. How do I go about creating personal presence? So how exactly how do you develop the “It” factor? 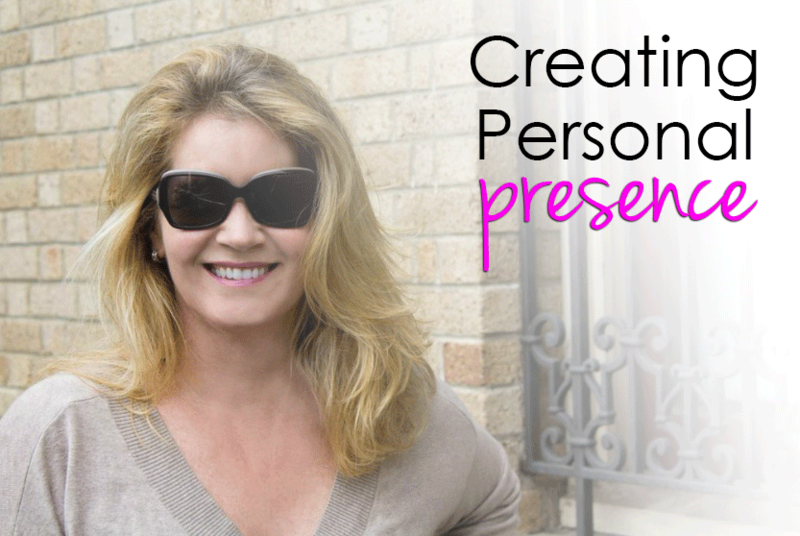 How do you go about creating personal presence to build your network marketing business? Here are some of the best tips I have after several years of public speaking and being a top earner in the industry. Dressing professionally will have a big impact on the people you are meeting with. You want to look polished and well put together – people will admire you for it. Taking the time in your appearance shows that you care about yourself and exudes confidence. When you are getting ready for a big meeting or event, give yourself an extra hour or so to get ready. This isn’t a beauty contest, but making sure your dress or outfit is pressed and your fly away hairs are under control will help you create presence. No matter what you do, make sure you feel comfortable. This does matter. People notice. 2. Never let them see you sweat. Be poised and prepared! A good leader doesn’t let people see him/her sweat. When things get crazy and a crisis occurs, a good leader will be calm and poised. This may seem hard, but there are ways you can learn to be poised. The best way is to be early and knowledgeable. Show up to where you need to be early with all of the material and information you need and you will already have a head start. You don’t have to know everything, and if you get thrown something you don’t know, always respond with – I’ll find out and get back to you. Unless of course it is one of those things, that isn’t important to know…. 3. Watch your body language. Leaders stand tall and confidence. Don’t slouch! Stand tall and avoid random habits. Also make eye contact with everyone and have a firm handshake. When you are speaking to an audience, look one person in the eye for that complete thought and then move to the next person, you won’t believe how much that helps in creating personal presence! It will also make you feel much more comfortable as a speaker and you will have more fun with your audience. When you are talking speak with a good volume and be confident. Say what you mean and mean what you say. Creating personal presence means you are clear and succinct, not using fluff words or jargon to make it look like you know what you are talking about. Get to the point. Leaders don’t have to spend a lot of time talking to be heard. Presence and posture can be used together. Posture meaning you command what you know and never ever give your power away. This will factor in to what someone thinks of your presence. If you stumble or get thrown, it means you don’t truly realize what value you bring to the table. Don’t let this get you down. This is something that happens over time and with experience. Act the part and you will get more and more comfortable with this. People with presence make an impression on the people they meet. People will remember how you made them feel, so pay attention! Listen to what people say when you talk to them so you can ask them good questions. People who feel that you listened to them and cared will be more responsive to you. Listening matters! Now you are an Expert in Creating Personal Presence! I hope this blog has helped you get a better understanding of presence and how you can use it to build your network marketing business. When you are a strong leader, people will gravitate towards you. This is what we want in this industry! P.S. I hope these network marketing tips are of value to you. Here is another one of my favorite blog posts on how to develop your leadership skills! If you learned something in this article, share it on Facebook! Also, comment with your thoughts below. 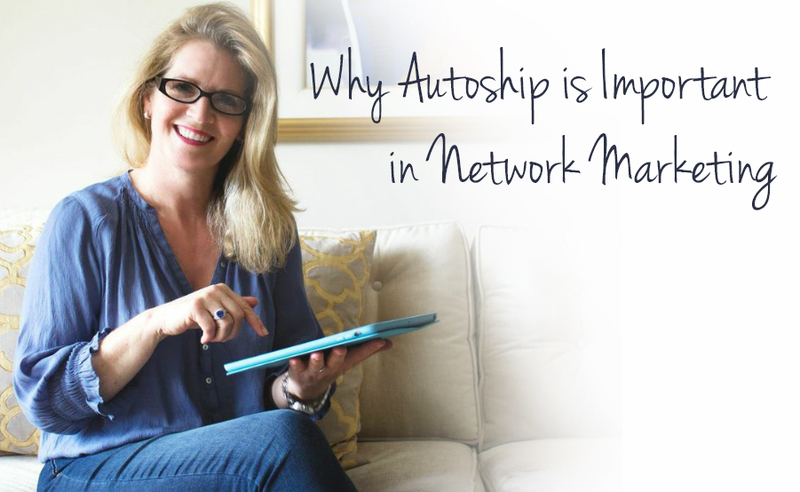 Do you know Why Autoship is Important in Network Marketing? When I started in the network marketing industry, the idea of autoship was very new to me, and at first a bit intimidating. People can be nervous about a monthly commitment. Once I learned more about the industry, it became very clear to me that in order to build a successful business you need autoship. I am going to share with you what I have learned over the years and why autoship is important in network marketing. Do you love the product? Do you love the product you are trying to sell to others? You should be actively using your product! If you aren’t, that may be a good sign that you should evaluate the company you chose to go with. If you love the product and actively use it, investing on average $100 towards it a month should be a no brainer. One reason why autoship is important in network marketing is it keeps YOU actively using your product. You have to become a consumer of your products. Your own testimonials will be worth their weight in gold for you. When you use your products, you are also investing in your business. You are leading by example and showing the people you work with the importance of autoship. You can think of autoship as overhead. It is part of the cost of doing business. Not only is using your product setting an example, it is also providing cash flow to your business. Without autoship and lots of happy customers ordering every month, you will constantly have to hustle to reach the numbers needed to keep your business going. When you can count on a constant amount of money coming in, you can focus on the expansion of your business instead of playing catch-up. Autoship is the financial backbone to your business. A mentor told me years ago that we should think of autoship as sacred territory. Without selling volumes of product, there can be no substantial cash flow. Autoship keeps product sales steady as you build your team and business. This is where the residual income comes in too. Most importantly, your team will do what you do. If you aren’t on autoship and don’t teach others to be on autoship, you won’t get that boulder up the hill. So how do you deal with people who are resistant? If the people you are working with don’t understand why autoship is important in network marketing here are a few things you should consider. Are you making a big enough deal about it? When you sponsor someone, you should make it really clear that they should be on autoship. And explain to them it isn’t for you but for them because their team will do whatever they do. By talking about this from the get go, you are building a standard from the ground up. In the beginning of a new distributor’s business is when you want to be teaching about how important autoship is. If the people you are working with are resistant to spending around $100 a month to invest in their own future, you may want to consider the level of commitment they have to the business. They can be customers and order when they want and we all want lots of those too. However, the business builders should have enough customers to cover their autoship costs. Be sure you are focusing your time and energy on committed team members! Don’t sell yourself short. I wish you success in building your network marketing business and I hope these tips will help you achieve your financial goals!